Heinrich Joseph Baermann (Germany 1784 – 1847) was an outstanding clarinet virtuoso of his time. 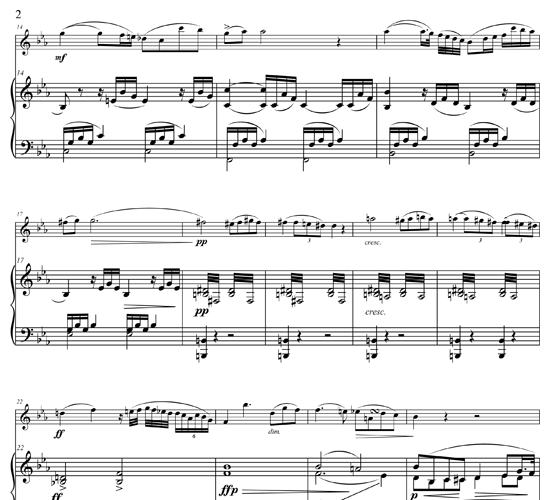 Baermannn’s works often inspired other composers to write for the clarinet. 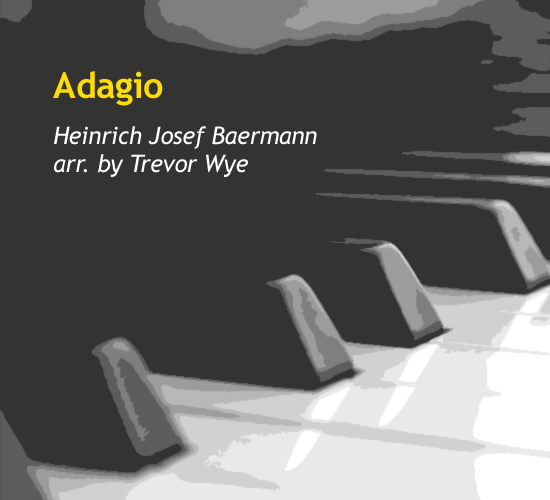 The “Adagio” was written in a time of development of the clarinet’s mechanism, rather like that of the flute. 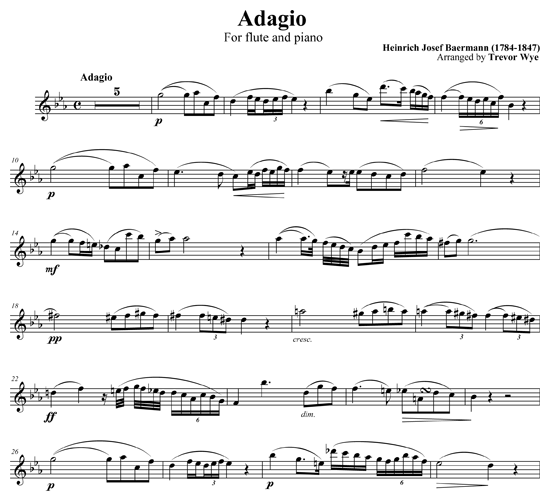 It remains a great favorite in the clarinet repertoire. 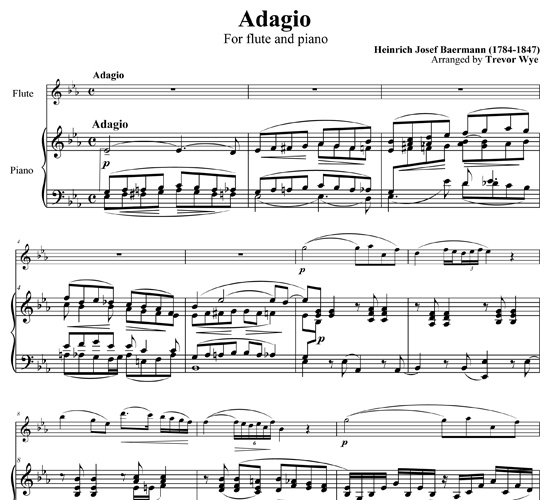 This version has been arranged for flute and piano. 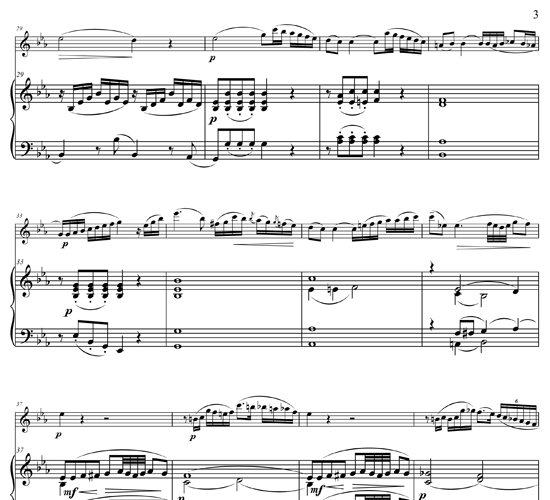 There is an optional audio file that contains just the piano accompaniment.